About ninety-six per cent of the Haramain High-Speed Rail Project connecting the Saudi cities of Jeddah and Makkah has been completed and the project is on track for operation by the end of 2016, said a report. Saudi Railways Organisation (SRO) said the contractors would by the end of this year complete bridges along the railway line in Jeddah, including those removed three years ago in preparation for the project, such as the Briman, Palestine and King Abdullah bin Abdulaziz Road bridges, reported the Arab News. 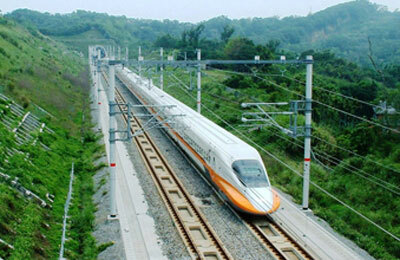 All work, including construction of bridges and extension of rails, is on schedule, it said. The SRO has been working with the Saudi Electricity Company and National Water Company to provide services to stations. While some of the construction is the responsibility of the Jeddah Municipality, the Ministry of Transport is overseeing the work on the bridges, stated the report. SRO officials said the bridges will have no traffic lights or stop signs to ensure smooth traffic flow. The train between Madinah and Rabigh will be operational by the end of this year, and the one between Makkah and Jeddah by the end of 2016, the report added.